Although many property managers hold condominium funds in their own accounts, we establish separate accounts and signing authority for each of our clients. We regularly scrutinize published bank service fees and interest rates, and work closely with local representatives at financial institutions to achieve the best combination of benefits and services for our clients. We provide a monthly financial report to the Board of Directors, which consists of a balance sheet, an income statement, a general ledger report, bank reconciliations, and fund balances. 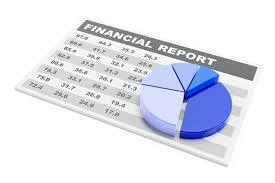 All reports can be customized to the specific needs of the Board. We offer financial analysis for cash projections and Reserve Funds, as well as other more specific cost centre analyses as requested. We coordinate the annual year-end review with the Corporation’s accounting firm, we submit the annual filing to the Condominium Registrar, and we prepare the Corporation’s annual Operating Budget, in accordance with the Nova Scotia Condominium Act.